When it comes to pest control solutions, fumigation is probably the most aggressive treatment available. Where that can sound appealing in a “get rid of it and get rid of it fast” world, like all pest control solutions, the decision to move forward with a fumigation should not be taken lightly. Fumigation should be part of an Integrated Pest Management (IPM) plan, and used as a last resort after other methods of control have failed or are not sufficient to address the issue at hand. Fumigation is a pest control process by which a lethal chemical is released into an enclosed area to eliminate a pest infestation. Fumigation is most common in the food processing industry, but may play a role in other industries. 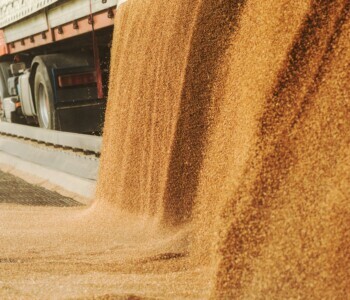 The most common sites for fumigation include semi-trailers, rail cars, grain bins, grain silos, ship holds and cargo containers. However, there are cases where due to safety, a fumigation cannot or should not be performed. Why is fumigation a last resort? When we say a lethal chemical is released, we mean lethal to all living creatures – including you, your staff and your customers. Due to this risk, the fumigation site and all surrounding areas will be prohibited during treatment until deemed safe by the Fumigator in Charge. Sites under fumigation may not be accessible for days or, in rare cases, weeks. In addition to the time needed, there may be other things required of a business to undergo a fumigation. Some examples include shutting down production, closing off certain areas of your facility, changing entrance/exit traffic to and from your facility and removing products from storage locations. Is fumigation right for me? Fumigation may not be the best (or even most effective) solution for your situation. Many alternatives are more effective, require less chemical usage, present less product exposure and allow your business to keep running with minimal disruptions. These alternatives include ULV/ULD Treatments (Ultra Low Volume, Ultra Low Dose), heat treatment (which may not be available in all cases due to the ability of some commodities to withstand high temperatures and maintain their quality), mating disruption, change in best practices, physical removal of old packaging and a proactive sanitation and inspection program. Contact your Wil-Kil representative to see if one of these options is right for you. Contact Wil-Kil for a free evaluation of your facility/commodity and the pests you are facing. Our fumigation specialists are licensed, state-certified in fumigation and trained to ensure compliance with all state and federal regulations. We will sit down with you and discuss the best solution for you. If fumigation is determined to be the best solution, the Fumigator in Charge will draft a Fumigation Management Plan so you understand the process and risks association with fumigation. Safe and successful fumigations begin with a strong relationship between you, the client, and Wil-Kil. Sales and Service Specialist Bruce Johns was recently named a finalist in Pest Control Technology’s 2014 Technician of the Year Awards. The Menomonee Falls NOW sat down with Bruce and Regional Manager Randy Allen to talk about Bruce’s exceptional customer service and dedication to quality service. Bed bugs have been spreading across the country recently like wildfire, and unfortunately folks in Milwaukee and throughout Wisconsin know this first hand. At Wil-Kil, our Wisconsin exterminators have been working towards finding the best possible bed bug treatments available on the market. Fortunately for us, we live in a time where extensive research has been done on what is needed to solve the bed bug problem, so we have quite a few treatment options to choose from. But like most things, this has not always been the case, and although people have been dealing with these bugs for thousands of years, no fool proof pest control methods had ever been determined. Although the world has never lacked interesting bed bug treatment options!